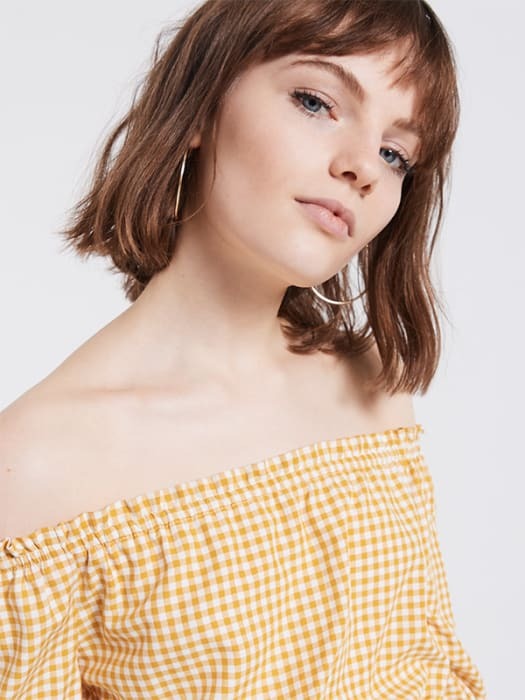 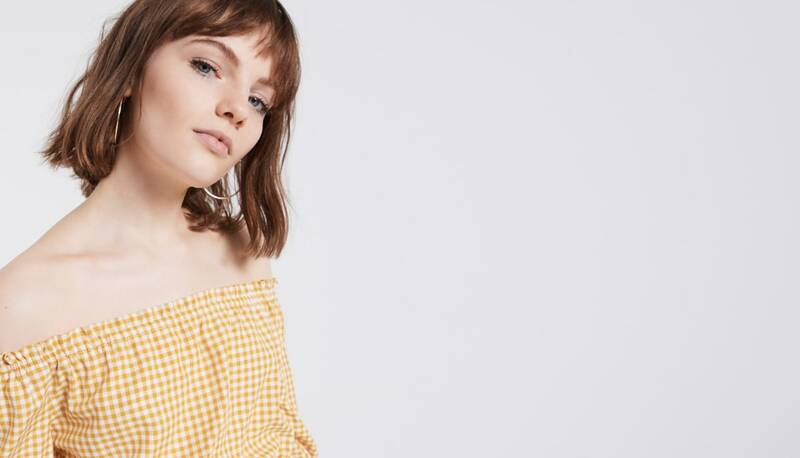 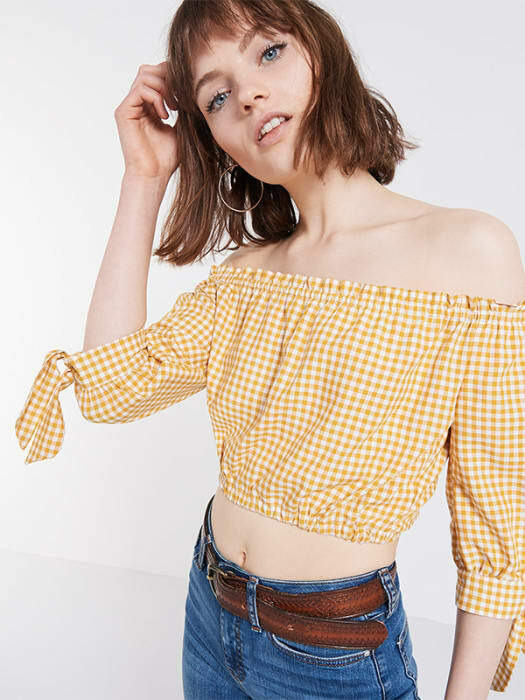 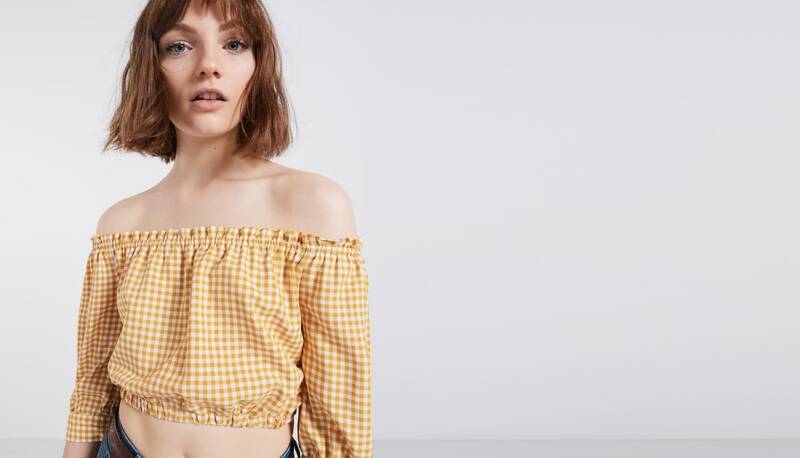 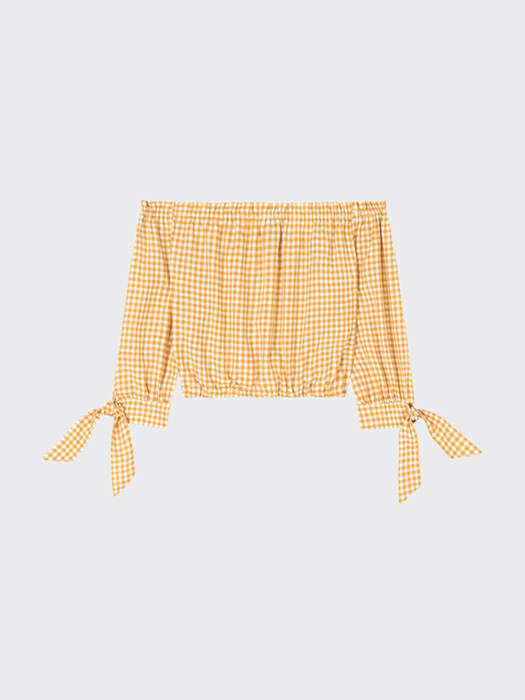 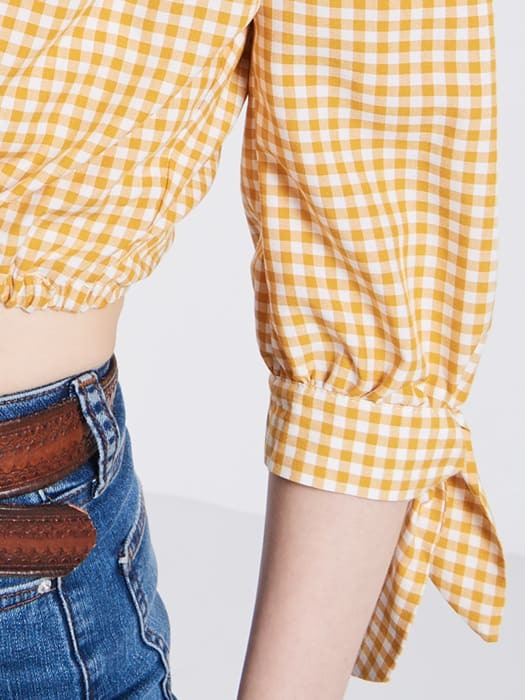 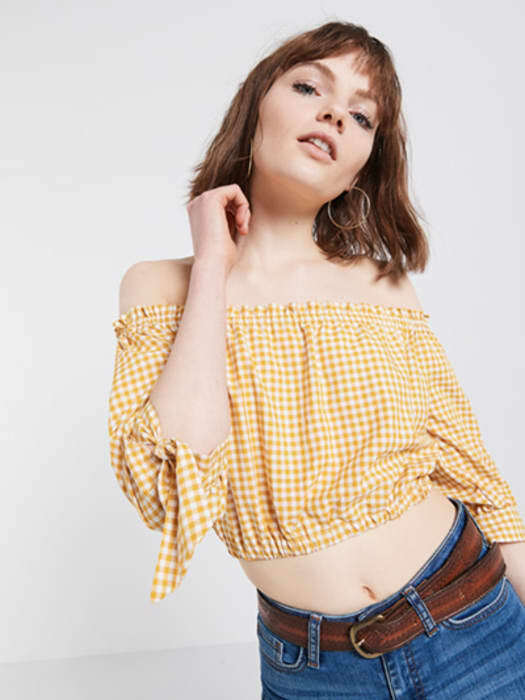 Keep shoulders-on-show over festival season in this yellow Crop Bardot Top. 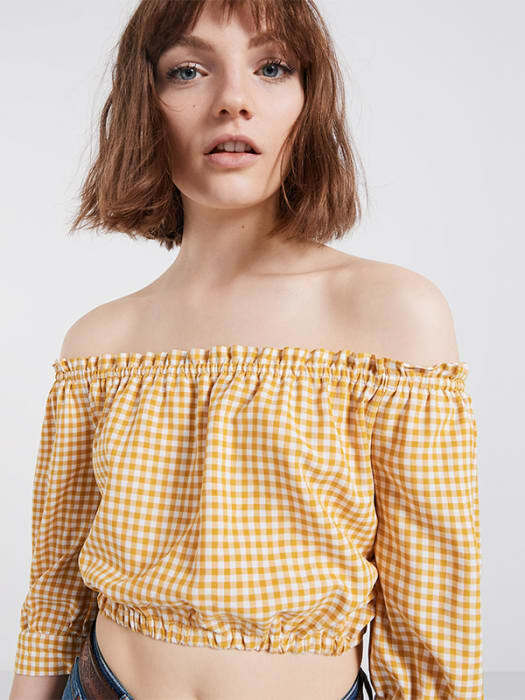 Finished in a retro-cool gingham print, tie-sleeves provide look-at-me detail. 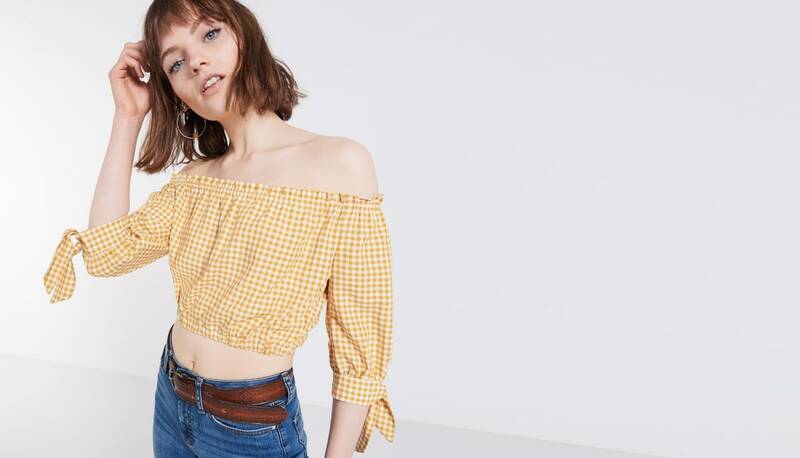 Style-wise, toughen the look with distressed denim and boots… you know, for the mud.